Mercia Palisade Gate Round Top Dip Treated: This wooden rough sawn picket round top garden gate is perfect for creating a warm and welcoming entrance to your garden. 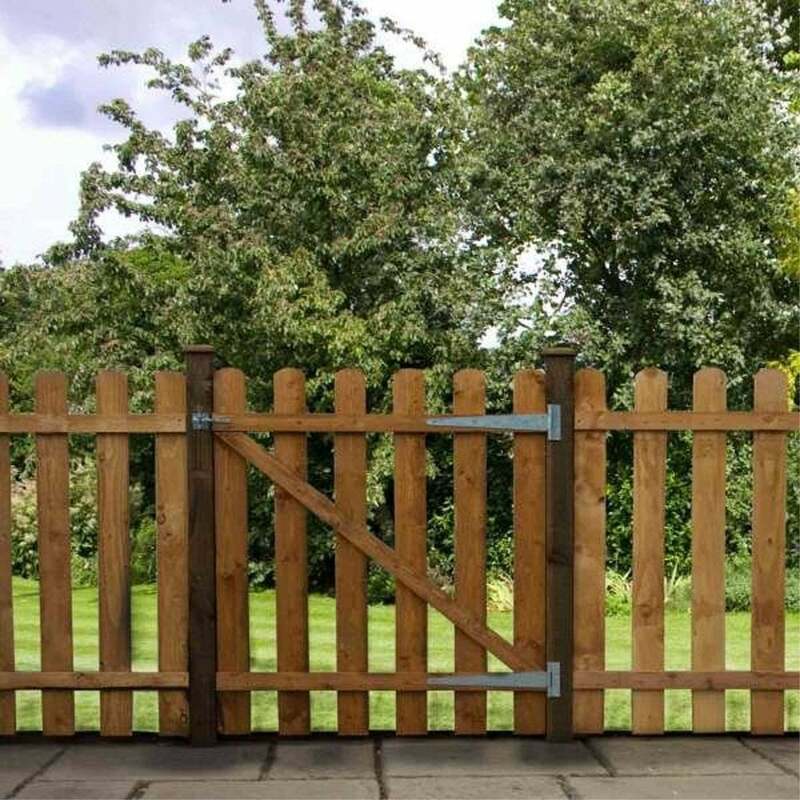 The Mercia Palisade Round Top Gate has been crafted by attaching timber panels to a horizontal rail with a gap left in between the slats, a diagonal brace is then fitted to add extra support. The Mercia Picket Fence is built using FSC certified timber that has been dip treated and includes a 10 year anti rot guarantee.